Jelly & Bite The Ballot initiate an artist led campaign to encourage 18-24 year olds to vote. 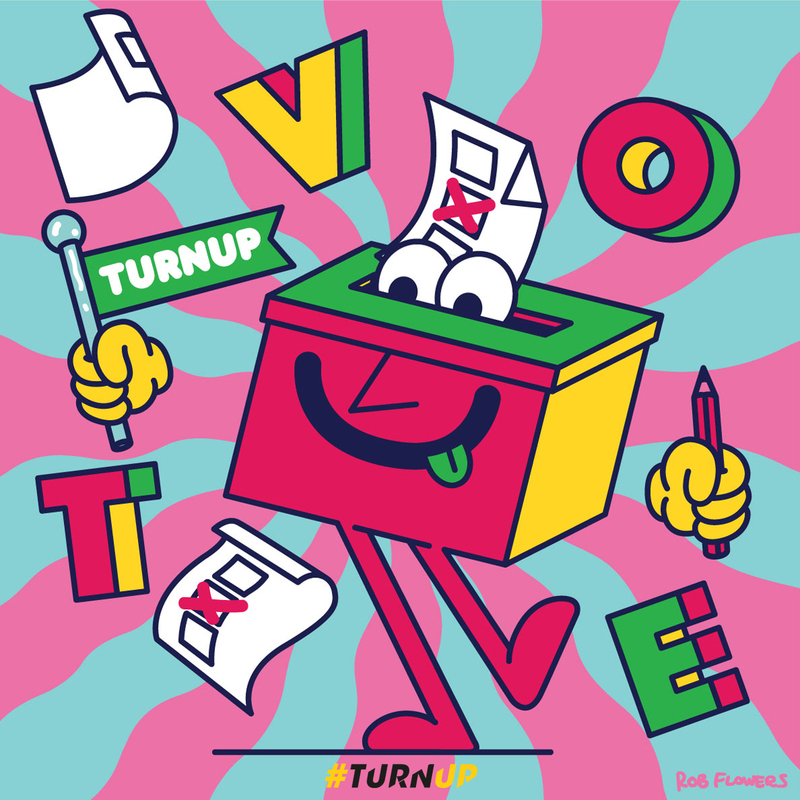 2017 and its snap general election saw us partnering with youth democracy Bite the Ballot for #TurnUp. 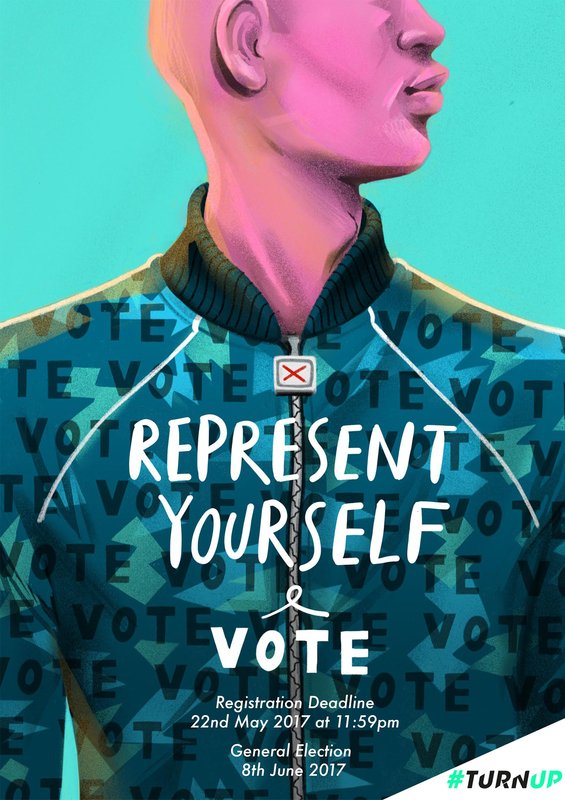 Together we initiated a campaign inviting artists from all backgrounds and disciplines to create artwork to encourage 18-24 year olds to vote ahead of the UK snap election in June. 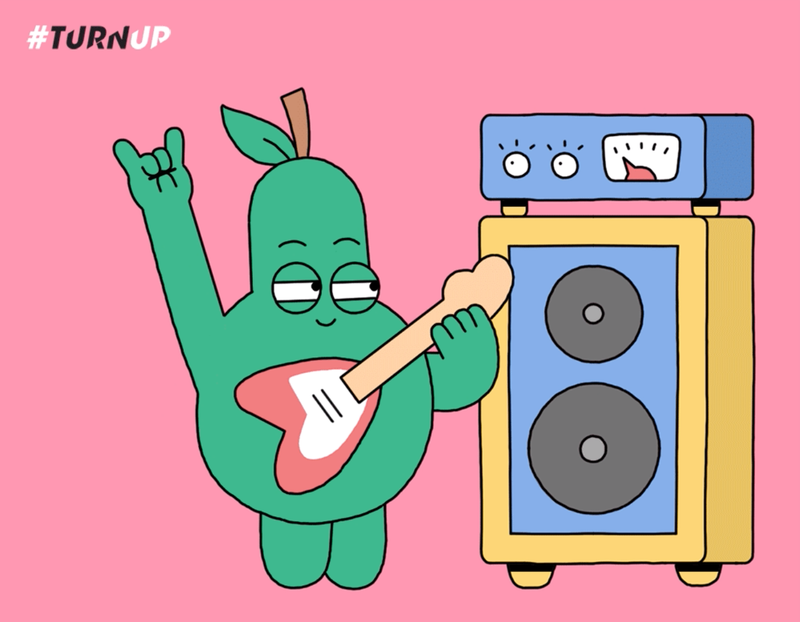 We had a staggering amount of brilliant imagery created in response, from artists such as Marcus Walters, Jon Burgerman, Modern Toss, Rob Flowers, Rude and Alison Carmichael through to 18 year old students in Birmingham to The Maccabees. Rewind to Trump’s inauguration… We had just experienced Brexit and had a general feeling of division and helplessness. 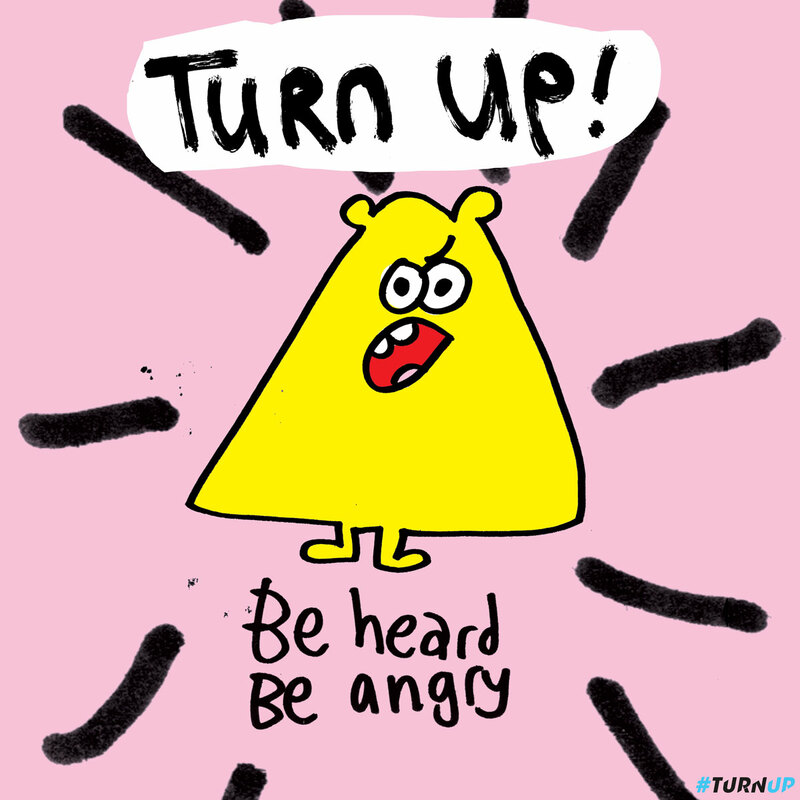 Cue Nicki Field – Head of Illustration here at Jelly London – who called a meeting at work and asked the question… what can we do with all of these image-makers who we work with day in & day out, plus our network? Knowing we had a unique position of having such amazing contacts & talent at our fingertips, to try to make a change. Totally unknowing that a couple of months later a snap election was about to be called. We decided it would be better to channel this energy into a call to action and pivoted from something led by activism at heart – it was an opportunity to do something. Knowing we had our little black book of artists, agencies and creative friends ready to collaborate, after some swift research we found Bite the Ballot and asked them what they needed and how could we help. 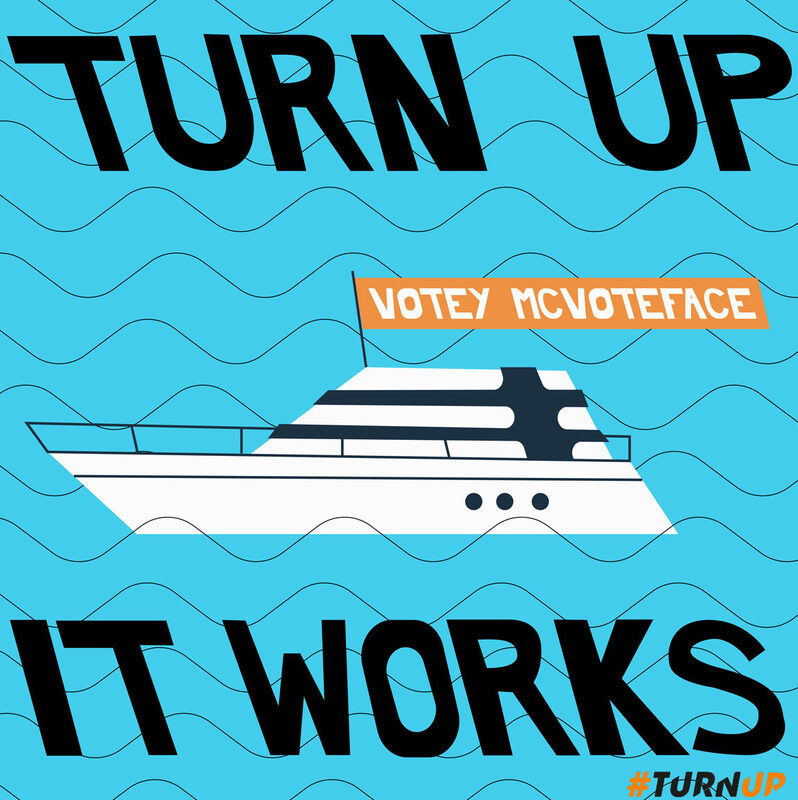 Founded by Michael Sani, Bite the Ballot are unique in the way they work. 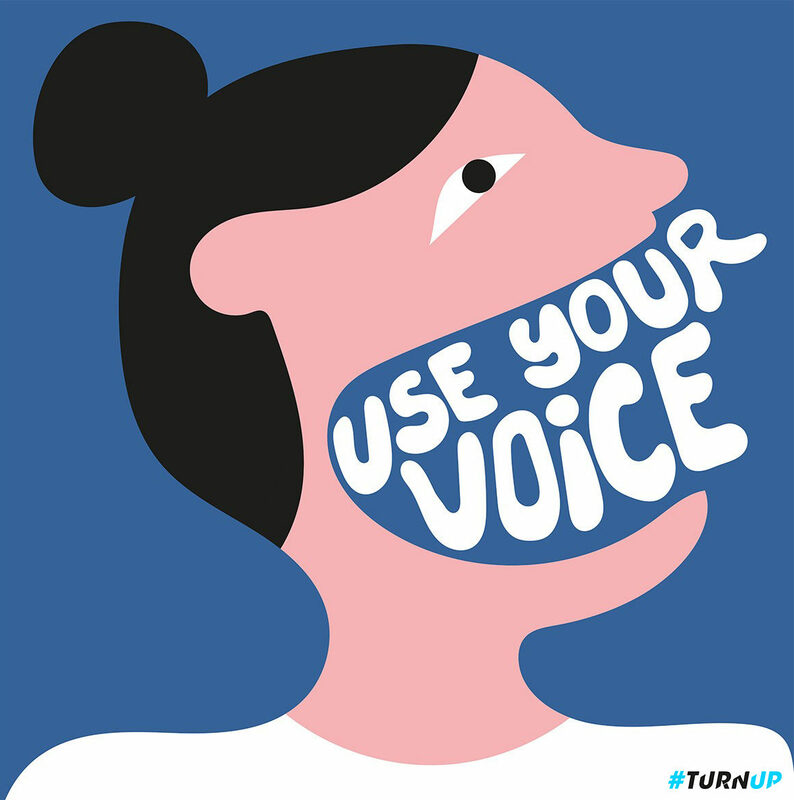 A charity run by young people to help engage young people in politics and voting. Politics often affects most the people who are often the least engaged. 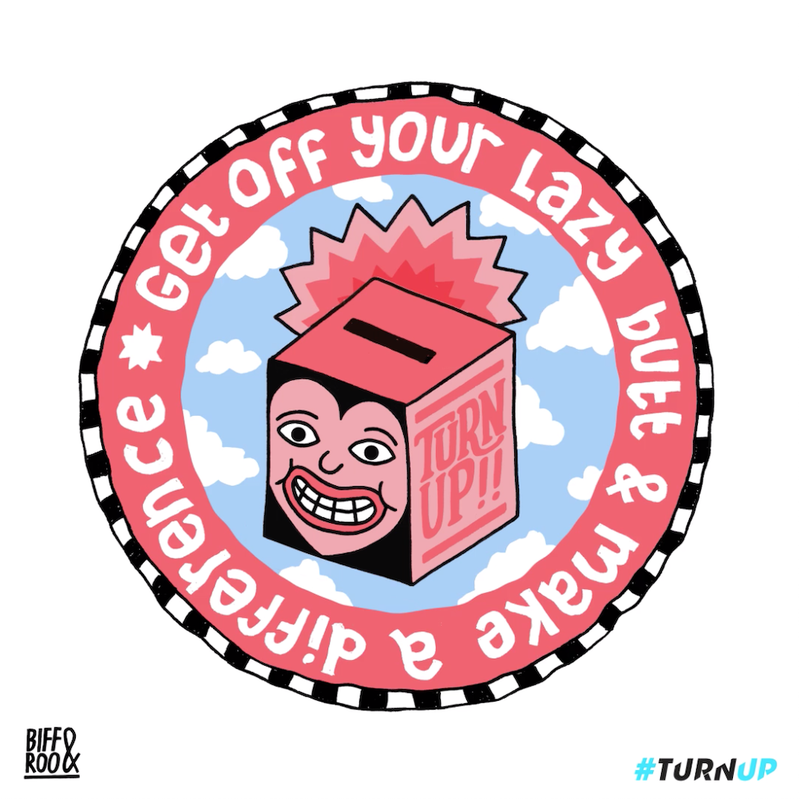 There was a previous iteration of #TurnUp for the EU referendum where they collaborated with Hope Not Hate but this was the first time a creative campaign has run. Their campaigns are all transparent and run with a flat structure. Their partners bolt on separate sub campaigns all working together to a joint cause, with partners including; Unilad, Starbucks and Tinder. The challenge? Time. And no time meant little to no partner funding. The solution? 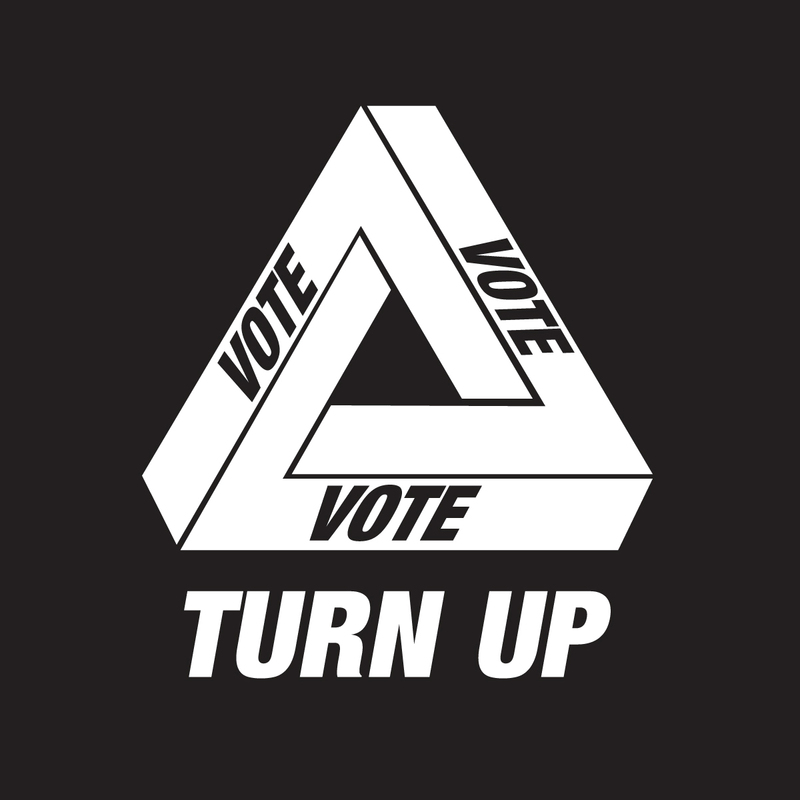 We came up with a brief – totally artist focused – that asked for artwork to encourage young people to vote. There were only a handful of limitations; no obscenities and the artwork must be party neutral. The response we had was incredible, and within just 2 weeks, we soon found we had a really strong body of imagery. All of our submissions were housed in an ever-growing open access google doc. Perhaps not the slickest way to get content out there, but effective – and quick. The artwork itself was as democratic as it’s cause, we didn’t curate the work into a final selection in it’s online gallery – it was a public call out and anyone could take part. Submissions were now starting to come in from abroad. 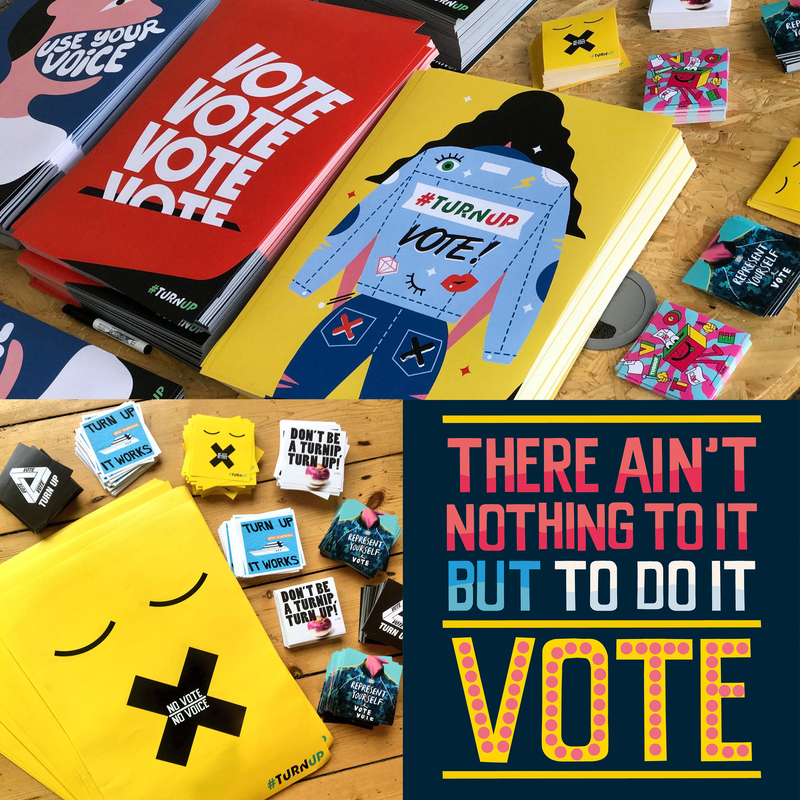 Knowing we had to keep up the momentum right to the polling booth, we created posters, stickers, contacted venues and festivals and worked relentlessly on social to try to get as much traction as possible – constantly talking to agencies, friends, trying to pull favours. From Cardiff, Leeds, Sheffield, Cambridge, Edinburgh, Manchester – we started by looking at areas where youth turnout was famously low, and then everywhere else in-between. The print also helped give the online campaign legs. People were sharing images of the spotted artwork on social… the word was getting out. 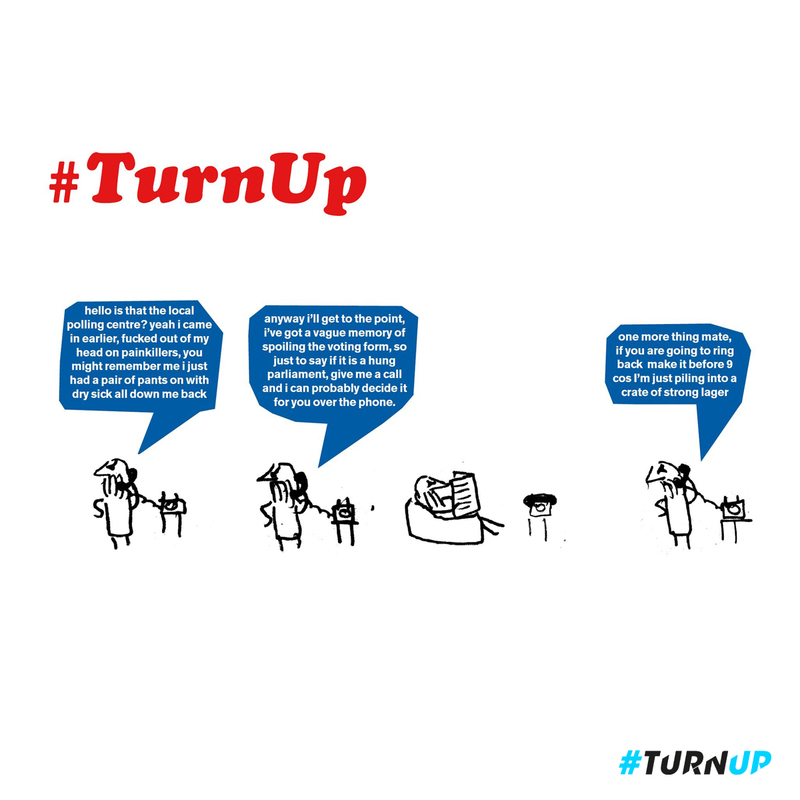 The hashtag started to gain momentum and we were discovering pieces not directly submitted but inspired by or self-initiated but tagged to the campaign. Even the deputy creative director from the Guardian contributed as well as their political cartoonist Ben Jennings. The campaign had legs, but trying to get coverage was proving difficult. Much like the snap election itself, it was all a bit of a last-minute scramble. 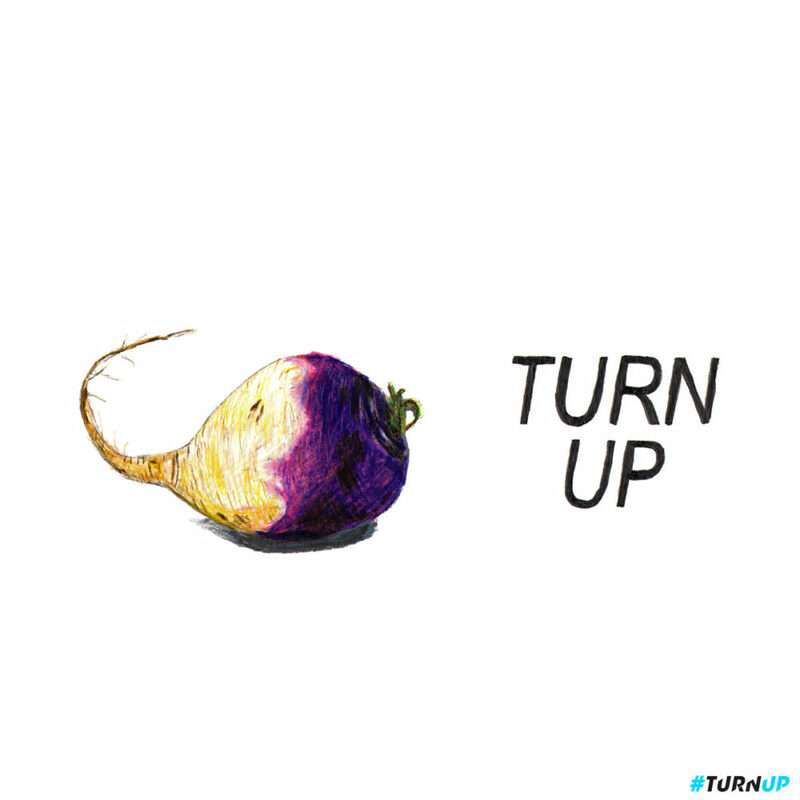 After 2-3 weeks of solidly pushing out artwork, it was registration deadline day. Bite The Ballot, Rize Up and some of the Jelly team headed to Twitter HQ to push out content depending on the live turnout data they were receiving. We had such a large volume of artwork we could categorise it and use it to target different sectors of young people. 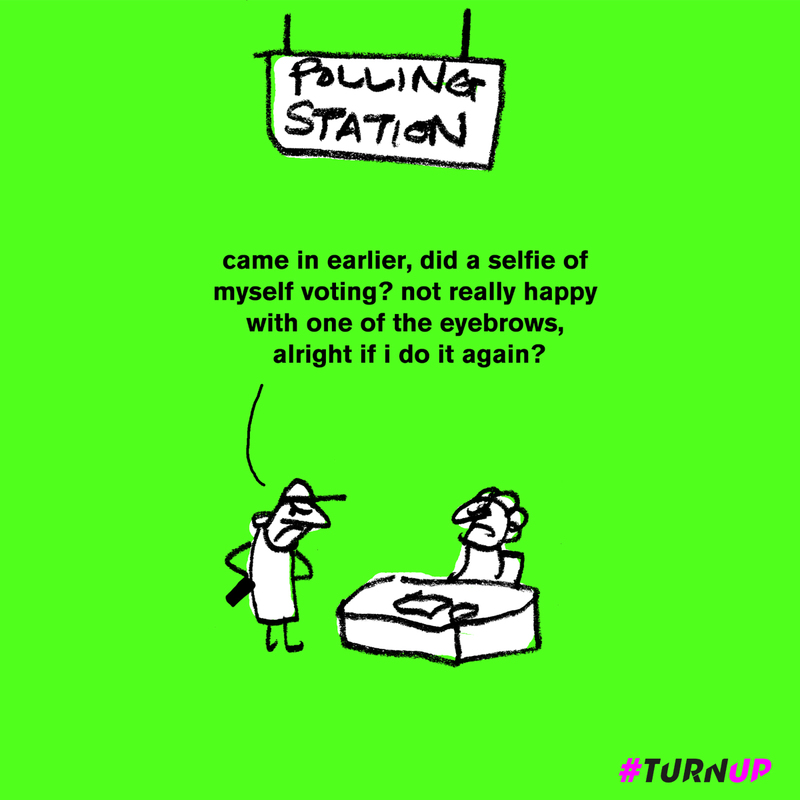 Nearly 250,000 people aged 18-24 signed up to vote on registration deadline day alone. 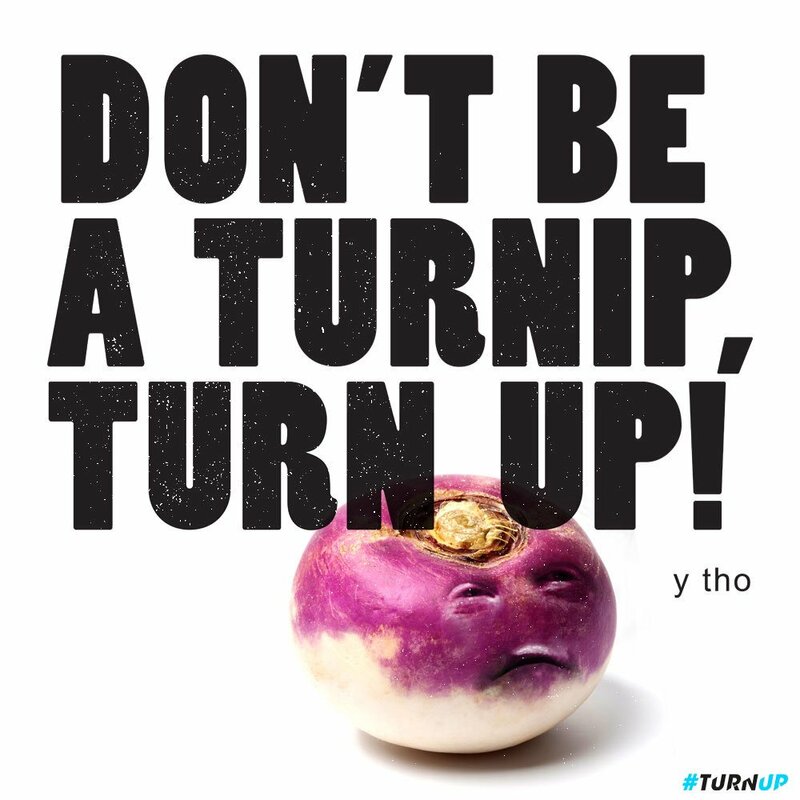 We were starting to get much more traction, all the time trying to capture the spirit and some sort of essence that would capture our target audience… In came the GIFs and we even spawned a Turnip meme. 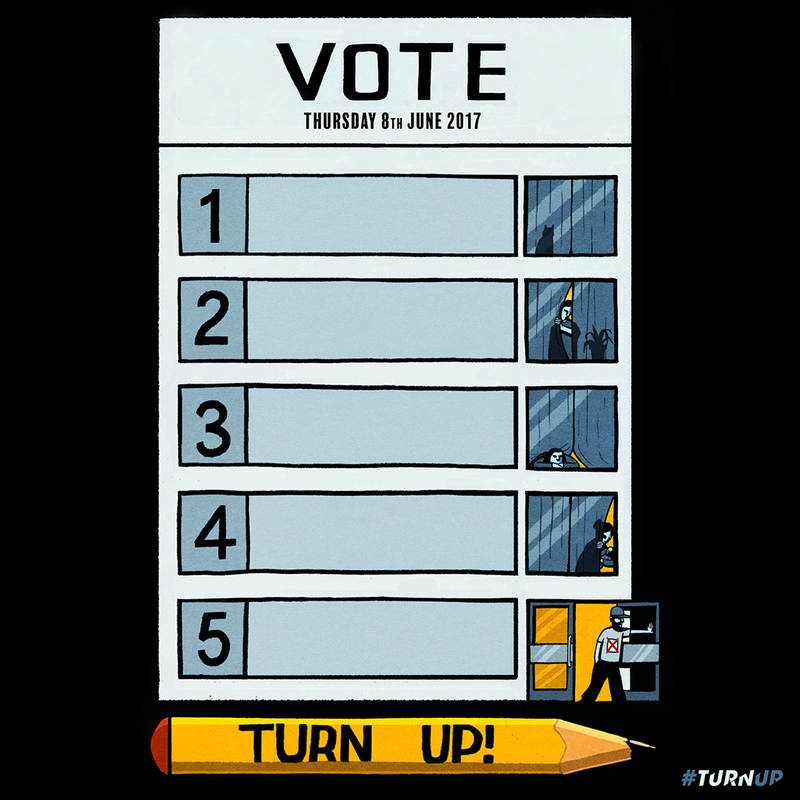 The UK 2017 snap election had the highest youth turnout in 25 years. A combination of campaigns and initiatives mobilised a youth vote with around 64% – 68% turning up to the polling booth. Nearly 1.5 million under 35s registered to vote in the run up to the snap election. 250,000 18-24 year olds registered on the deadline alone. We did something that made us feel fuzzy. And even if we only encouraged a handful of people to vote, it made a difference. Check out all of the submissions here.